Kids love playing bingo (adults actually do too, LOL) and what is more fun then a bingo card with animals on it? My children are obsessed with animals and when we go on a day trip to the zoo we like to end the day playing Animal Bingo! We will talk about all the different animals on the cards before we head out and it makes the outing even more fun. 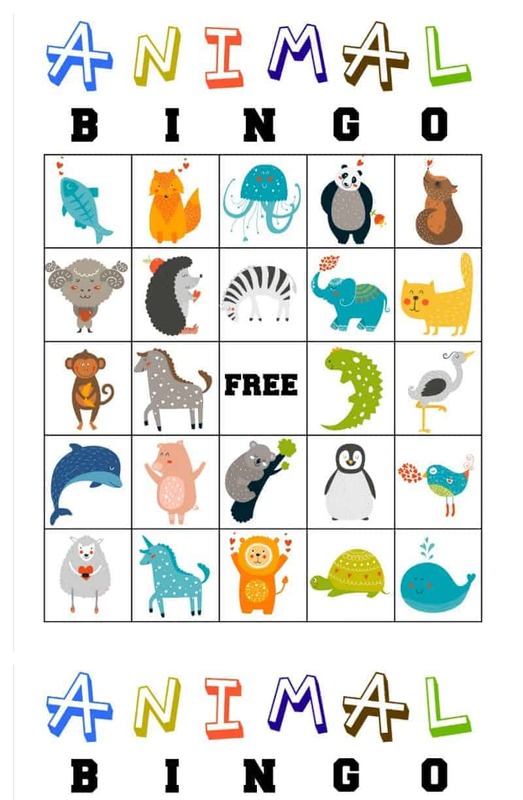 You can print off these free printable animal bingo cards and have some fun too. 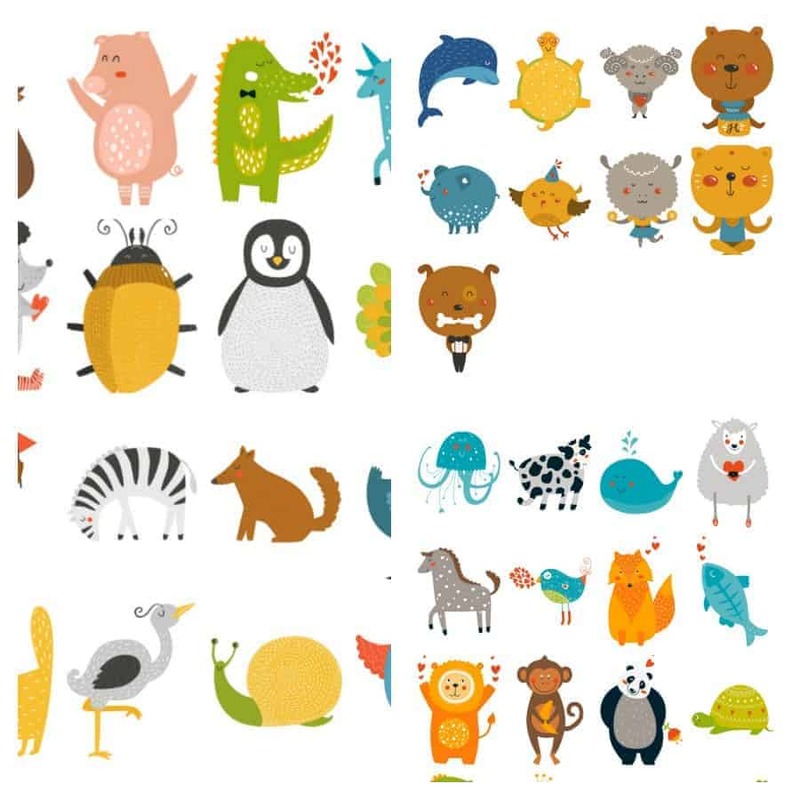 We always print these free printable animal bingo cards off on white cardstock so we can use them over and over again. I may even use my personal laminator to keep them nice and clean! There are 5 different cards so all the kids can play. Games are even more fun when you can pair up the right prizes. We like to keep the prizes small, but make sure they are items that will get kids excited about playing. Let’s face it….playing bingo can keep kids entertained for HOURS! Here are some of our favorite Animal Bingo prizes!! These are affiliate links but you are under no obligation to make a purchase! Animal Paddle Ball is something kids of all ages will love. You can get a package of assorted zoo animals too. Animal print sunglasses are a hit for boys and girls. There are 4 different styles and the kids can wear these to the zoo! Zoo animal bubble bottles will be a favorite prize and will also provide some fun later on. Imaginative play will be easy when kids win animal puppets. My son had a zoo themed birthday party when he turned a year old. A zoo themed birthday party is a great budget friendly birthday party and most kids will love it. Even if you don’t take a trip to the zoo as part of the party it is really easy to throw together a zoo party on short notice. These free printable Animal Bingo cards make a great party game too. You can print the animal bingo cards off by clicking the image below. I would love to hear about your favorite zoo parties or outings!! What is your child’s favorite animal? Hi, I’m Jamie! Welcome to Life is Sweeter by Design, where I am working on recapturing the JOY in life! 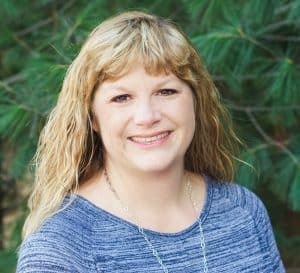 You will find me blogging about family, food and fun. I love being a wife to my husband and mom to my four kids.Cooking, crafting, travel and homemaking make me smile!